The Avast Free for Education program currently protects more than 7 million educational devices in the US. 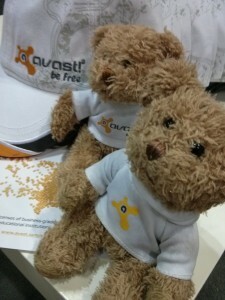 The Avast Free for Education team spent a week in Orlando, Florida at one of the country’s premier educational technology conferences, FETC. School administrators, IT professionals, media specialists, and educators visited our comfy booth, all curious about what the world’s most trusted antivirus software company was doing there. What is the Free for Education program? Avast supports education in the USA by making our business-grade security product, Avast for Business, available for FREE! There are two good reasons: The first one is technical - we collect threat data from our community of 230 million active users which the Virus Lab uses as a “sensor net” to automate virus research. So whenever we see something suspicious, it automatically gets transmitted to the cloud, and based on the threat data, we create new definitions and stream them back to the whole user base. It’s really quite unique and helps us to leverage the size of our user base, because no other antivirus company has as many users as we do. The second reason is Free for Education is part of our expansion plan, to simply make US users more aware of Avast Antivirus. We have about 14 million Avast Free Antivirus users in the USA now, but we want that number to increase. Giving our business-grade security product to schools for free will also help us spread the word about our products for home-use and mobile. This program is not about making money, but improving our detection rate and increasing awareness. That being said, Free for Education participants can add our technical support at a special annual rate of only $2 per seat. We heard from visitors to our booth, that they would still save money because they were paying about more with other programs. If you are a school district, public school, private school, university, library, or any educational provider with Microsoft Windows, Macs, and/or servers, then you are eligible for Avast Free for Education. We have a mix of different computers on our network. Will it work in my school? Yes. We supports a multi-platform environment of PCs, Macs, and servers. What does the software include? How do I register for the free education licenses? I hear different accents. Where are you all from? Our team is international: Stephanie is from the UK, Pavla is from Czech Republic, Deborah and Chris are from the USA, and Max is from Canada. Sign up for Avast Free for Education and save money and time for your school.